Right - Kitty's Book Spot! Cassaundra AKA Cass meets Andrew AKA Drew at their mutual therapist's office. At first, she is not sure if she has more than friendship to give. They are both in therapy, after all. Denying the attraction is not working, so she might as well give it a shot. Andrew AKA Drew is excited the hot woman is willing to go out with him. They have a lot in common. She makes him feel better than he has in a long time. Being a police office takes it toll after a while and she is a soothing balm. These characters needed one another and it was so nice to read how they came to be a couple. The attraction and heat was there from the beginning. This was a great story that helps you understand and feel for the main characters plight. 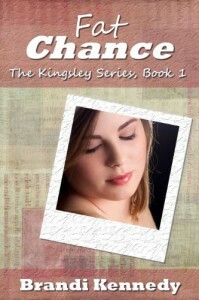 I enjoyed this and am excited to read the rest of the Kingsley series. I give this a 3/5 Kitty's Paws UP!